Soaring above the lights of L.A. with unobstructed, 300-degree panoramic views of the Pacific Ocean, Downtown and the snow-capped mountains sits an opportunity of celestial proportions. 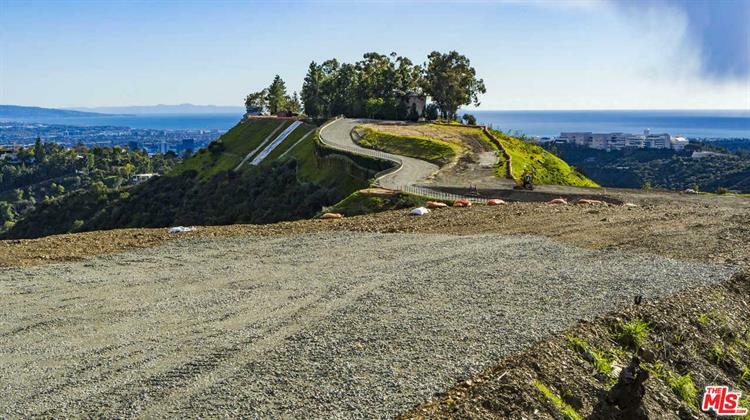 Encompassing 7 graded acres within a monumental, 30-acre parcel in world-renowned Bel Air, the offering is unlike any other building site in Southern California, complete with fully approved plans for an estate of unrivaled caliber. Over a decade in the making, plans call for a 40, 000-SF residence with every imaginable amenity, including a 2, 000-SF master suite, 11-car subterranean auto gallery and world-class wellness center. The surrounding acreage is ideal for a private label vineyard. Home to countless celebrities and titans of industry, Stella Nova's coveted Bel Air location offers supreme privacy and incredible proximity to Beverly Hills, Rodeo Drive, UCLA, LAX and the best of L.A. This is a once-in-a-lifetime opportunity to create your own Shangri-La in one of the world's most coveted locations.